It's one in the morning, you’re still studying, you haven’t eaten anything since dinner, and to make matters worse, everything is closed. Yet, these are the times when you thank yourself for going to school in a city: a city of convenience stores that stay open later than you stay awake. So, after a quick fist pump of victory, you head outside; on the way to the nearest convenience store. Now I don’t want to say I’m a snack snob, because, a Diet Coke and a pack of Twizzlers can honestly get me through anything; however, some snacks just taste so much better than others. Thus, I have compiled a list of 5 convenience store snacks that won’t leave you with that regret of wasted calories upon finally waking up from your late night struggles. These chips are basically just giant coconut shavings that are dipped in dark chocolate--they are as good as they sound. Dank Dark Coconut Chips also come in an array of flavors: regular, lightly salted, caramel sea salt, greek yogurt coated and dark chocolate coated. While I am not a health nut, the combination of kale, spirulina, and chia seeds is (honestly, deceptively) delicious. As an added bonus this snack doesn’t come with the added guilt of ordering Domino’s. 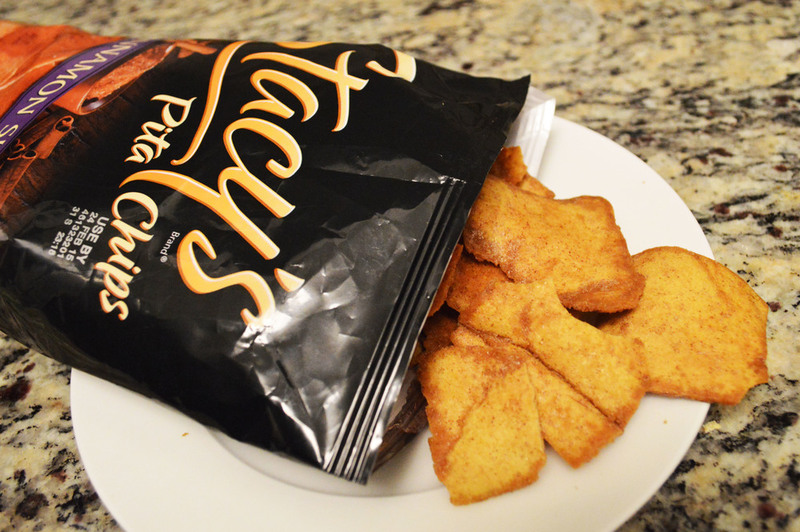 Pita chips are such an underrated, classic snack. Stacy’s chips are perfectly sweet, salty and filling. If you grabbed some Nutella for dipping, these chips would be a perfect casual Friday night hor d'oeuvres. If pita chips aren’t your thing Stacy’s also makes bagel chips and pretzel thins to satisfy any salty craving. Snacks that are high in protein are not only healthy but super tasty. Whether it’s beef jerky or something more exotic, like honey-roasted chickpeas, It is sure to be a satisfying treat. Biena chickpeas come in a variety of flavors, such as honey roasted, barbeque, sea salt, or cinnamon maple. This version of Chobani Flip (Chobani yogurt that has a neat little topping pouch built into the lid of the container) is so delicious. It is a nice blend of key lime yogurt and graham cracker crumble topping. There are also chocolate, almond, and coconut versions that are all equally amazing. So next time you’re up late hitting the books and you feel a rumble in your tummy head down the street and try one of these five fantastic snacks!